This ground floor room features a double bed, full bath, cable T.V. The room has one window facing the back yard and another facing south toward the church and town. 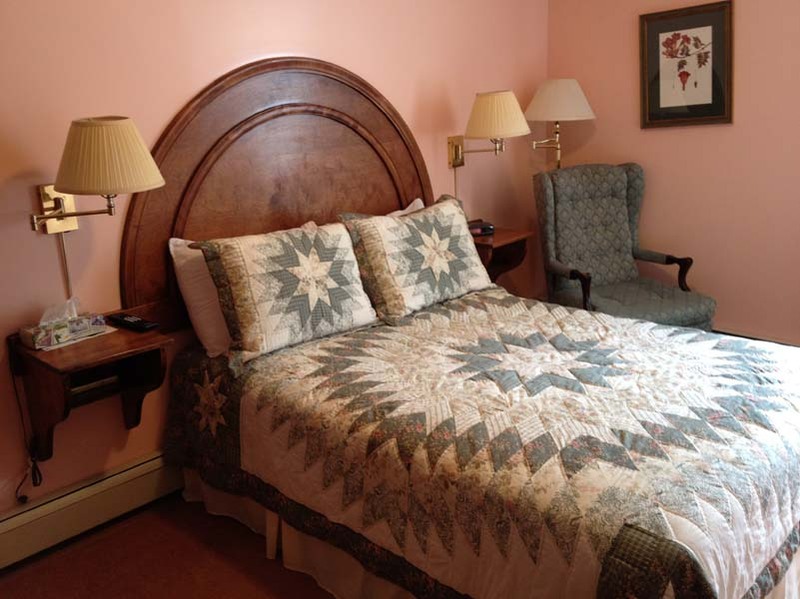 This ground floor room features a queen bed, full bath and cable T.V. 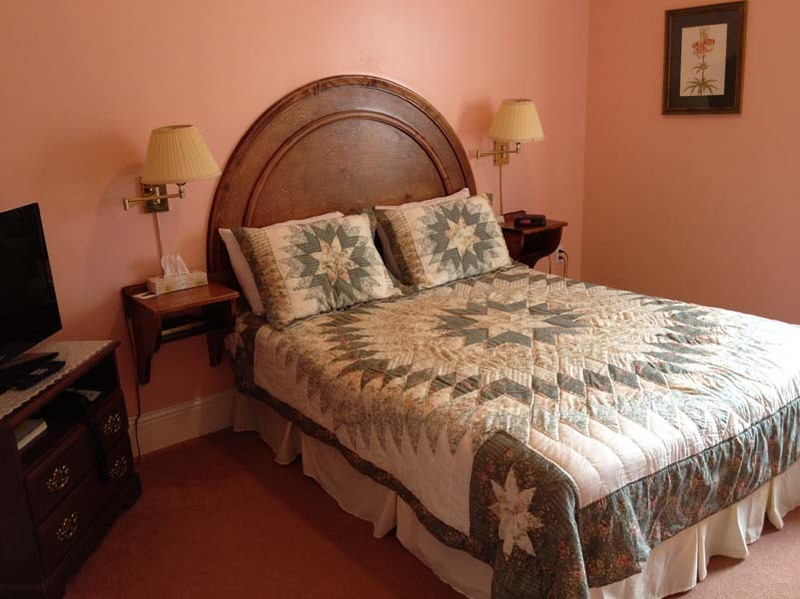 Decorated in peach & pale green, this room faces the back of the property. 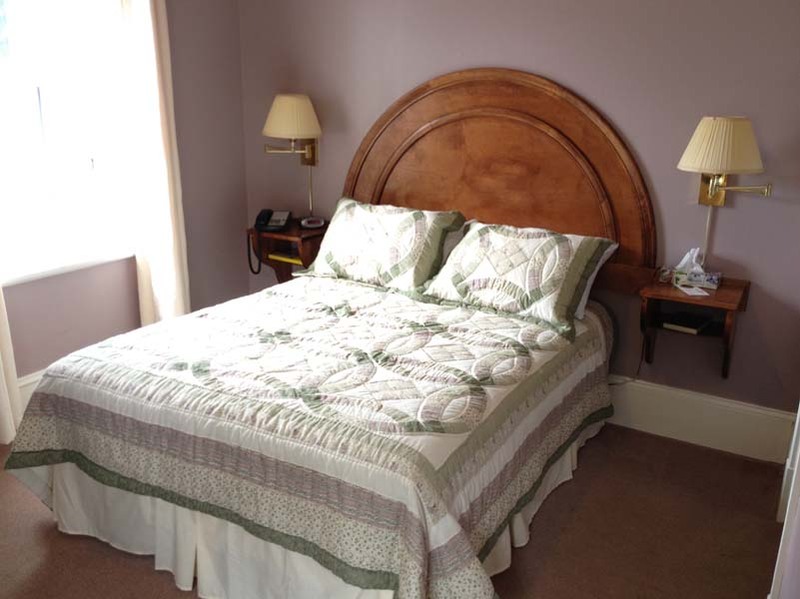 This ground floor room features a double bed, bath with stand-up shower and cable T.V. This ground floor room features a double bed, full bath and cable T.V. 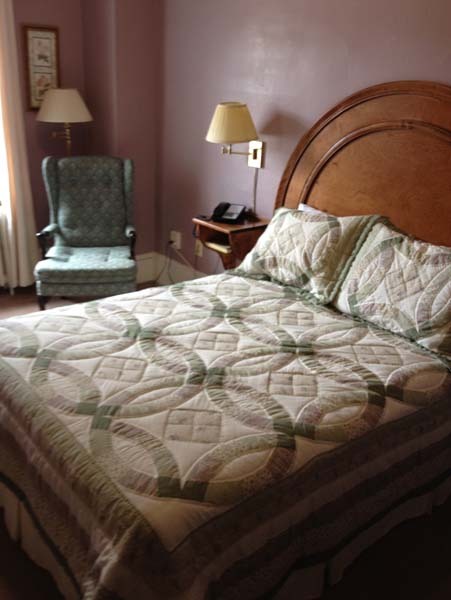 The room is located across the hallway from the dining room and faces the back of the property.